Mount Snow has a 60+year tradition of great skiing and socializing in southern Vermont. Now owned by Peak Resorts, the ski area has impressive snowmaking, extensive lodging. 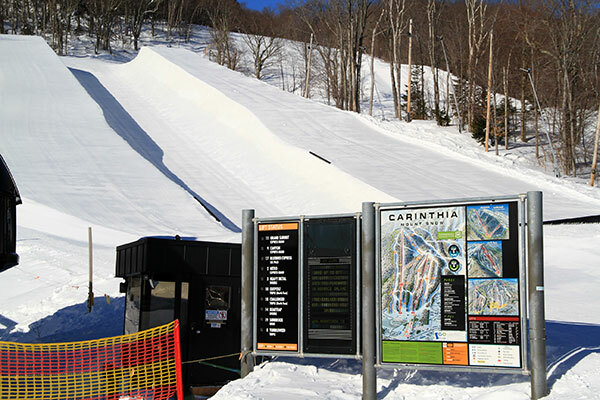 Mount Snow has the Longest Terrain Park in the East located on its own mountain – Carinthia. Your kids will love the progressive parks at Carinthia including inherent natural elements, horse trailers to bonk and tree rails to ride. 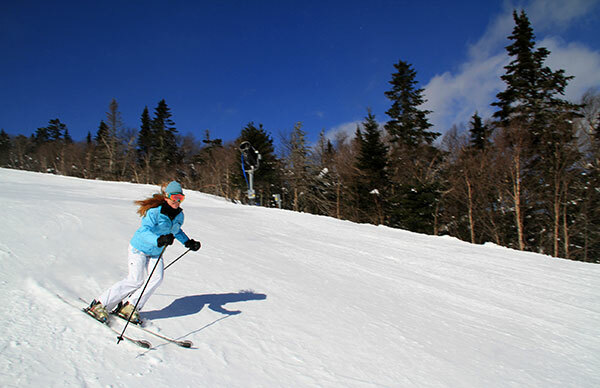 You will love the beautiful Vermont views and sweeping groomed runs. 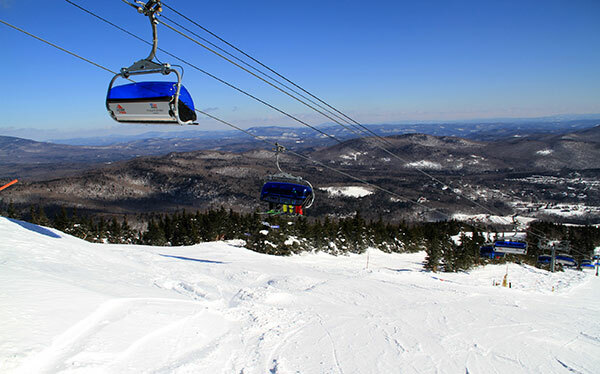 Mount Snow offers skiers and riders 80 trails and an amazing 20 lifts including the Bluebird Express from base to summit – a high-speed six-person blue bubble chair. Mount Snow also has the most fan gun snowmaking in North America at over 250. There’s a Learning Center, plus expert childcare and ski and ride lesson programs. Mount Snow for a ski getaway has lots of mountain lodging – the most choice is the Mount Snow Grand Summit Hotel with an outdoor heated pool and a full service NatureSpa but there are also loads of surrounding condos and hotels. The Mount Snow village has a base lodge, plenty of casual eateries and après ski, and the classic Clock Tower. Mount Snow has beautiful groomed cruisers on the front side, nothing too steep or formidable – all with sweeping Vermont views. The North Face has steeper pitched trails that are short but sweet and served by a high speed quad. The Sunbrook area is South Facing with a few long fun cruisers and a couple of beefy bump runs that are popular on a spring ski day. Mount Snow is a great family ski resort for a weekend or a steal away for a far less crowded mid week day. There’s tremendous history here too- dating back to Fountain Mountain, Mount Snow was hopping in the 60’s and 70s. Ask a few locals about the tropical theme base lodge back in the heyday. Nearby Mount Snow in West Dover is The Hermitage Club, a private ski club and community on the ski area formerly known as Haystack. This Vermont members only ski and golf resort residence opened in 2011, like the Yellowstone Club of the East.